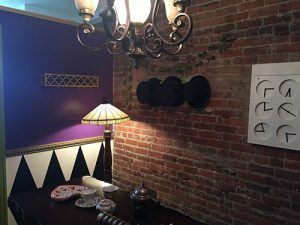 A new escape room in Everett, WA. Opening fall 2018. Escape Everett will be opening spring of 2019, starting with an escape room themed around Alice in Wonderland. Up to five more escape room experiences will be added to the location. If you haven’t been on an escape room adventure before, we highly recommend it – there’s no form of entertainment more immersive and memorable than an escape room. In an effort to involve the Everett, WA community, Escape Everett launched a Kickstarter in April, 2018 which turned out to be one of the most successful escape room crowdfunding campaigns in the world. To be notified when we open, please fill out the form below or click this link: https://goo.gl/forms/clfy734Qu0UPHSlH2. You can also follow us on Facebook. Copyright 2018 Escape Everett | Decurro Incorporated | Proudly powered by WordPress | Theme: guj by Barikah.